Starring: Tom Holland, Michael Keaton, Jon Favreau, Zendaya, Robert Downey Jr.
Are we really back here again? Another year, and yet another Spider-Man movie! But this one promised to be the Spider-Man flick we’ve all be waiting for, mainly since Marvel is back in the hot seat. After delivering three subpar films, Sony finally came to the realisation that they needed to turn to Marvel for help. This is why so many Spidey fans were so eager to see the latest Spider-Man film, which is a hard reboot of the franchise. 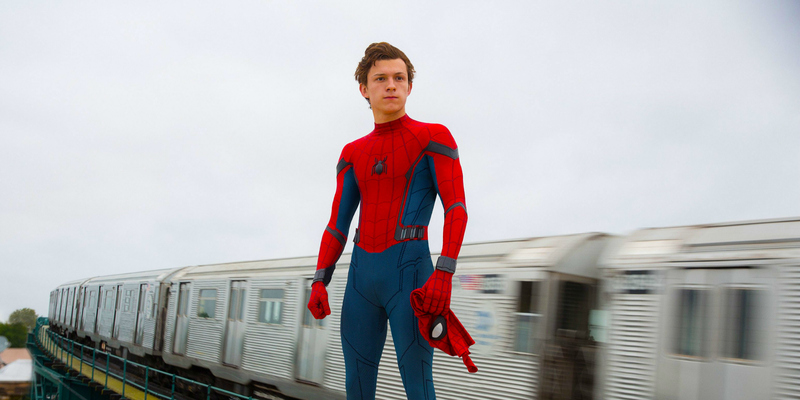 We were first introduced to Tom Holland’s Spider-Man in Captain America: Civil War, and the reaction to his small cameo was overwhelmingly positive. In my personal opinion, Spidey stole the show, and he was only in the movie for an itsy-bitsy… bit. To be honest, the scene in which he swoops in, steals Cap’s shield, lands on top of a car and says “Hi guys,” would have been enough for me, but Tom Holland gave us so much more, and with Homecoming has sealed his status as the definitive big screen version of Spider-Man. Tom Holland is Spider-Man in Homecoming! Can’t you just be a friendly neighborhood Spider-Man? Things become a bit more interesting for our young wall-crawling superhero when he stumbles upon a gun deal in which dangerous weapons, enhanced by alien tech, are changing hands. Peter decides to take it upon himself to try and stop this criminal activity from going on in his neighbourhood, which pits him directly against Michael Keaton’s Adrian Toomes, a.k.a Vulture. Don’t mess with me. Because I will kill you and anyone you care about. This film was originally pitched as the Spider-Man film that John Hughes would have made, and there are certainly callbacks to Ferris Bueller’s Day Off and The Breakfast Club in Homecoming. There’s even a scene from Ferris Bueller playing on a TV in the background at one point. That particular reference was a bit too on the nose, yet apart from that moment the ‘John Hughes-iness’ of this Spider-Man film really paid off. What Homecoming gets so right is Peter Parker himself. Before Tom Holland took on the role, we had Tobey Maguire and Andrew Garfield in Spider-Man’s iconic red and blue suit. 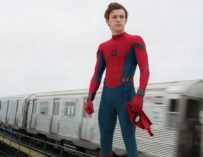 Both actors delivered perfectly good performances as the web-slinger, yet Maguire was way too much on the ‘victim’ side of things, and Garfield was too cool for school to be Peter Parker. Moreover, both actors were far too old. 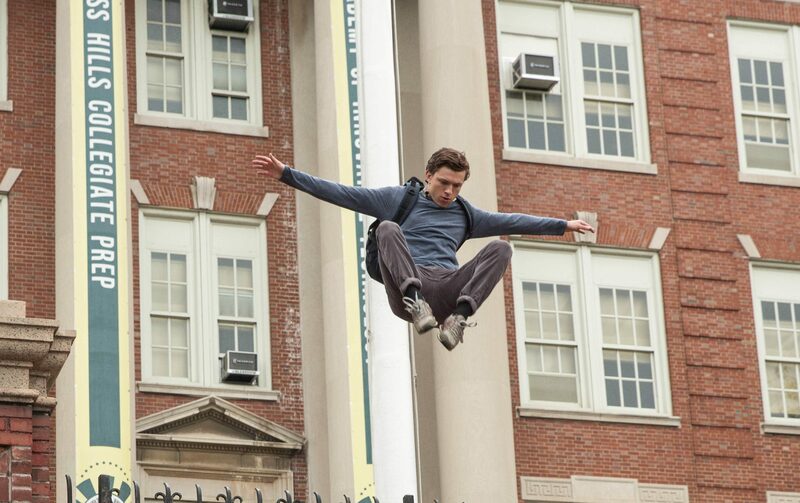 Holland is simply put, the perfect embodiment of both Peter Parker and Spider-Man. Peter is in trouble in Homecoming! 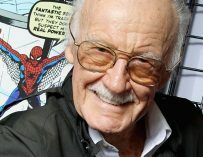 Not only is he the right age to play the character, but Holland’s also both brilliantly awkward as Peter and wonderfully cocky as Spider-Man. 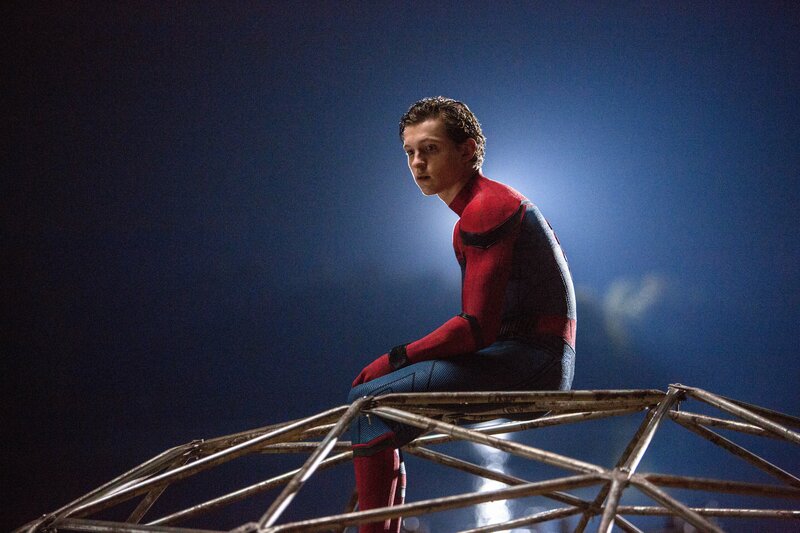 It really does feel as if it’s a case of ‘third time’s a charm’ when it comes to Tom Holland as Spider-Man. It was also refreshing not to be introduced to Spider-Man through an origins story. We’ve seen Peter get a nasty bite from a genetically modified spider so many times now, we didn’t need to see it again. Marvel made the smart decision not to tell that story, but to have Peter be already familiar with his powers. Moreover, most Marvel films have suffered from a poor villain. That’s not the case with Homecoming. 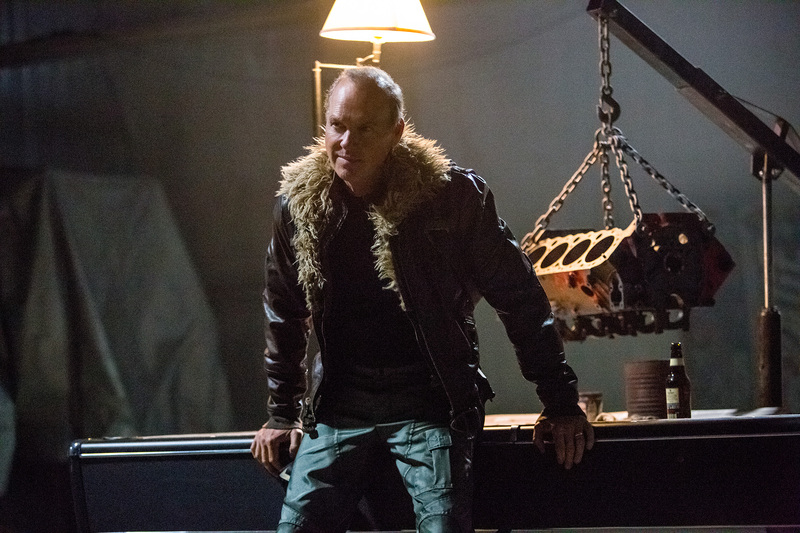 Michael Keaton’s Vulture is terrifying and relatable in equal measure. He’s playing a different sort of Birdman in this movie: neither Birdman nor Batman. You can’t help but root for Toomes, and he’s arguably one of the most relatable villains we’ve seen in a superhero film since Alfred Molina’s Doc Ock. Peter and his best friend Ned in Homecoming. Can you summon an army of spiders? Toomes’ original intentions were good, yet he’s become gradually more unhinged as the years have gone by and the money rolled in. Toomes starts off as a man who’s just trying to make an honest living, and he then ends up being corrupted by his own success. 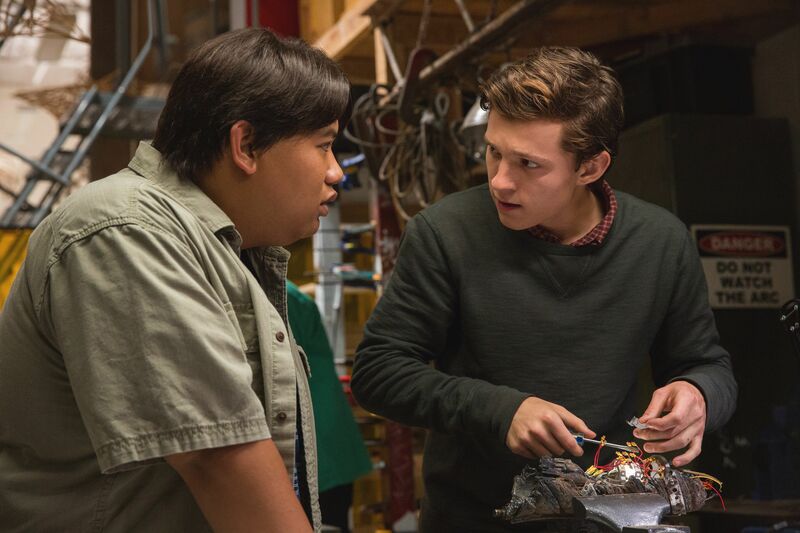 Homecoming also features fine turns from the likes of Robert Downey Jr., Marisa Tomei, Jon Favreau (who’s got a lot to do in this film), Zendaya, Tony Revolori and especially Jacob Batalon who plays Peter Parker’s best friend, Ned. The only gripe I had with Homecoming was that we didn’t really get to see much from Donald Glover, yet I have a sneaky suspicion that his character – or someone related to his character – might have a bigger part to play further down the line. Jon Watts has already demonstrated with films like Cop Car that he’s able to get cracking performances out of children. People say never work with children, but in the case of Homecoming, Watts got some really talented youngsters on board, and they were led by a winning turn from Holland, who’s undoubtedly going to quickly become one of the biggest movie stars in the world. It’s so nice to say, after so many false attempts, that there’s a good Spider-Man movie in cinemas. 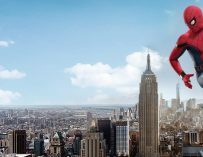 I’m still not sure whether Homecoming is better than Sam Raimi’s Spider-Man 2, but it’s certainly in that league of superhero movie, which is a good thing. One thing’s for sure, Spider-Man has well and truly come home! 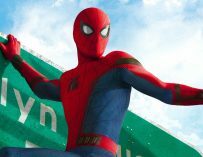 You can also listen to us discuss Spider-Man: Homecoming on Small Screen’s Film Club!